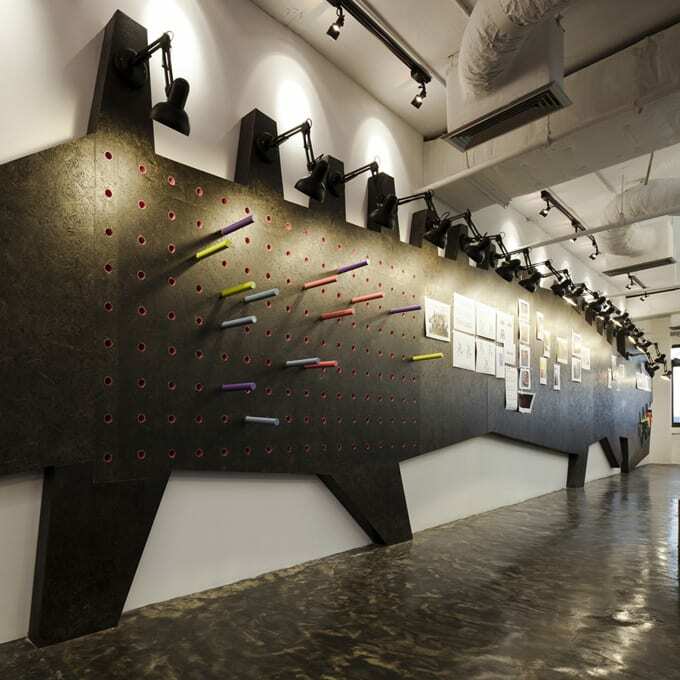 We continue to showcase the coolest office designs on the planet with this amazingly cool office design by Supermachine in Thailand for Saatchi and Saatchi. 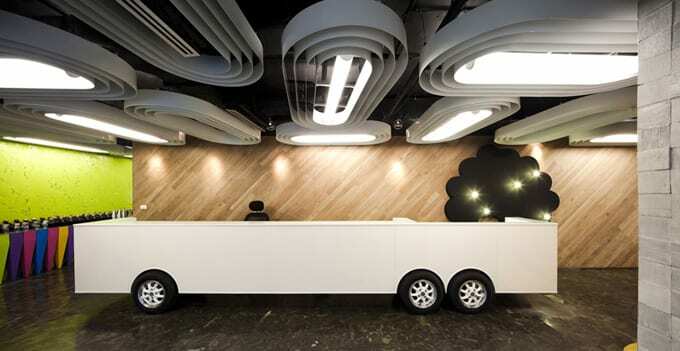 Advertising companies always create some of the most unusual offices in the world, after all it is their business to be creative, so a boring office just isn’t going to inspire their employees or give out the right message to potential clients. 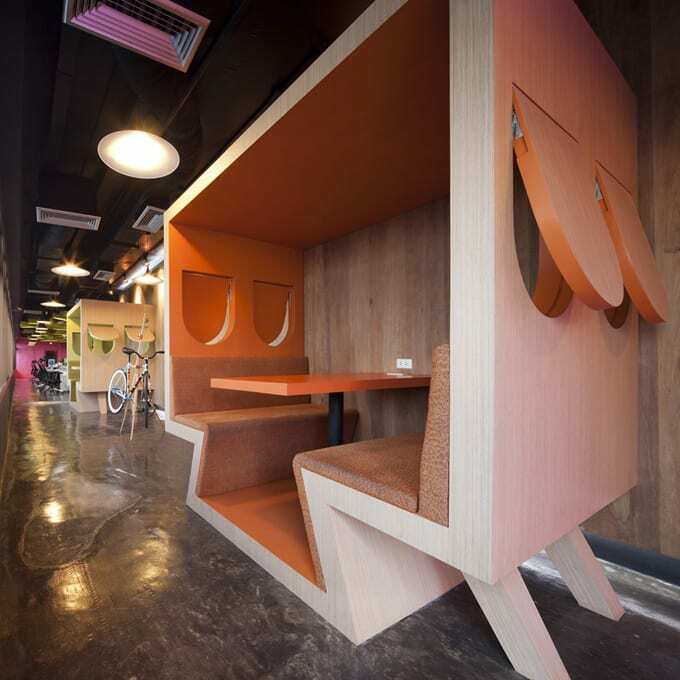 This office for Saatchi and Saatchi in Thailand is no exception either. Everything has been re-invented, re-thought and creates an unusual environment that encourages staff to think different and outside of the box. It is also surprisingly practical. 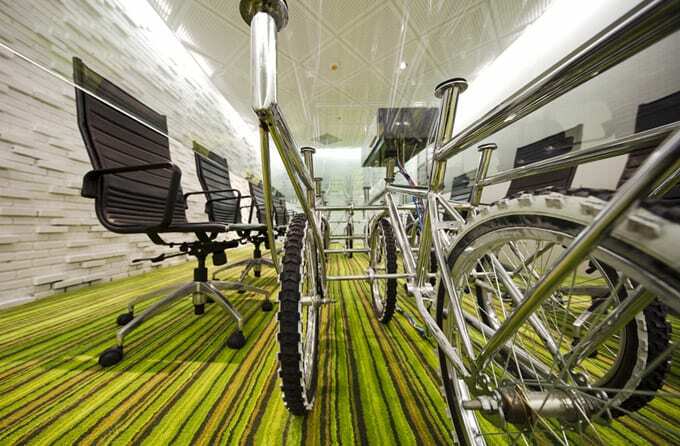 The boardroom may be on bicycle wheels, but this allows it to be reconfigured easily, even the reception desk is on wheels and can move quickly – like a big white bus! 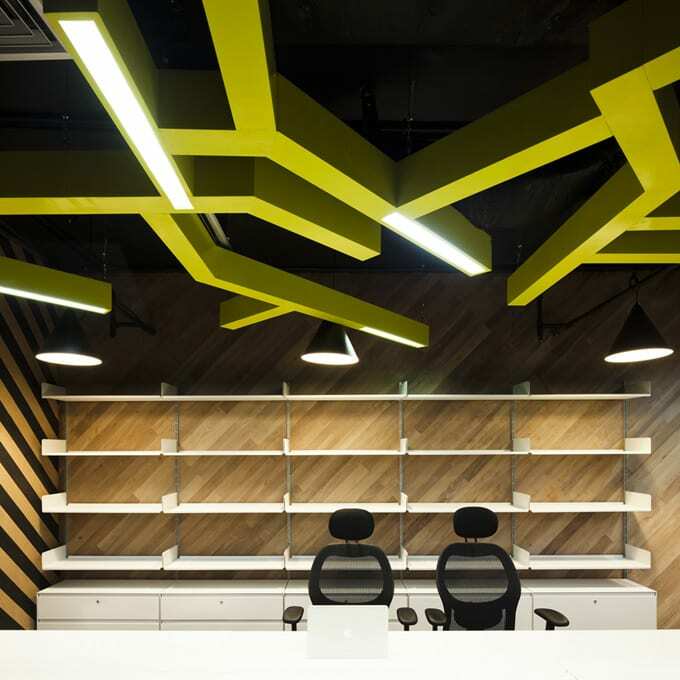 The walls of the boardroom are made from recycled wood from their previous office, this serves a sustainable element, covering an ugly wall and creating a connection with their old home. 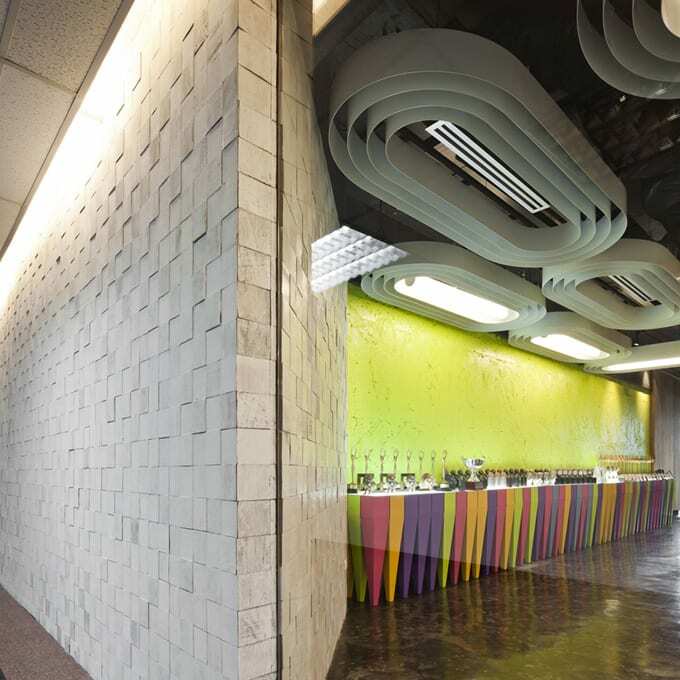 The custom made meeting pods are private without building walls and changing ventilation – the wall “monster” allows easy representation of past and current projects to be spread across the vertical wall – allowing the brain to quickly process and brainstorm more visual stimulus at once. The monster is now the office mascot and is on the future office t-shirts, the jaws of the monster are a bookshelf. 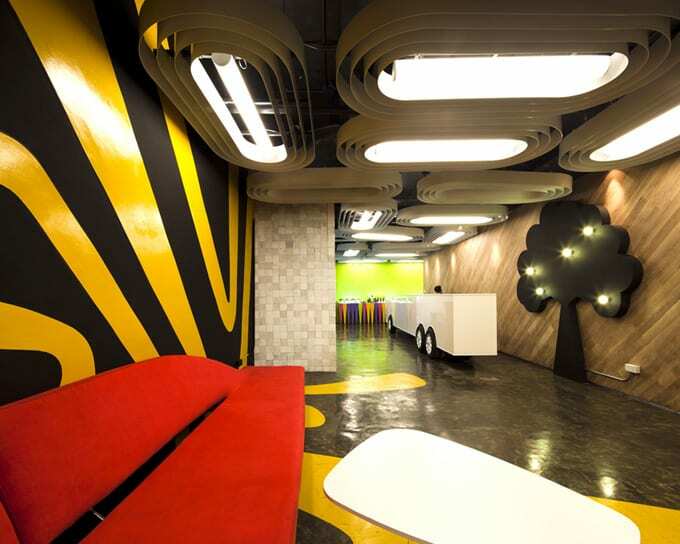 The overall look is awesome…what a great place to come to work in the morning. What does your office say about you?